Fuelled by ginger nuts and earl grey, we were all eager to get started on the project and tear open our craftivist workshop packs, but before we did it was really good to hear Sarah share the ideas behind what we’d be doing and be reminded what craftivism is all about. Sarah talked animatedly and honestly about her personal journey into craftivism, which helped to set into context how her own craftivism and our soon-to-be-created stitches would form part of a bigger picture of the relationship between craft and activism. At the start of a new year, as the concept of a ‘craft revival’ continues to gain in popularity within mainstream media, it was interesting to reflect on how the relationship between craft and protest, art and activism, has a rich tradition and is in fact far more ancient than any of the old clothes sat around us in the shop. It was fantastic to hear of predecessors around the world that inspired this project, from the powerful patchwork of the Chilean Apilleras, which I hadn’t heard of before but shall definitely be looking into further, to the stitched signatures of the Suffragettes. Last weekend I was moved to see first hand an embroidered Suffragette handkerchief at the Museum of London and it emphasised how it’s the physical, hand made material nature of these projects that is so important and the personal element that makes them potentially so much more powerful than a simple email or typed letter could be. As Sarah recently shared, Betsy Greer says ‘craftivism is starting a conversation’ and I really enjoyed starting conversations with lots of fresh faces, as well as some familiar fellow craftivist friends. Probably like several people there, I’m not the most outgoing or confident person when it comes to meeting new people and making new friends but somehow it’s always much easier and enjoyable to say hello to people and get beyond small talk when you’ve both got a needle and thread in one hand and a cup of tea in the other. This evening was no exception and I came away having made connections with some lovely people who I hope I can enjoy sharing more evenings with in future and continue the conversations that were started, inspired that it is possible to build a sense of community within the city and encouraged that I’m not the only one who want make a difference and that together we have the chance to. I’m certainly no expert at embroidery, but having been part of the Craftivist Collective for a couple of years now, I was happy to be able to help share with those joining us for the first time a bit about what craftivism means to me, what we get up to and simple advice on how to thread a needle or my own shortcuts in stitching! I love how we can share skills and ideas with each other and all muddle along together! We were also challenged to take some time out from chatting and sharing who we were sending our hankies to and this provided a great balance, as we spent some of the workshop in silence. Taking time out from talking to focus on what message we were stitching and who we were addressing was a welcome break and chance to reflect. It seemed quite quickly that the workshop was over and it was time for us all to head off and continue our hankies on the bus and back at home. I’m looking forward to carrying on with my hanky message at the Craftivist Collective’s Thursday monthly gatherings at Southbank Centre and seeing how some of the other’s are getting along with theirs too. 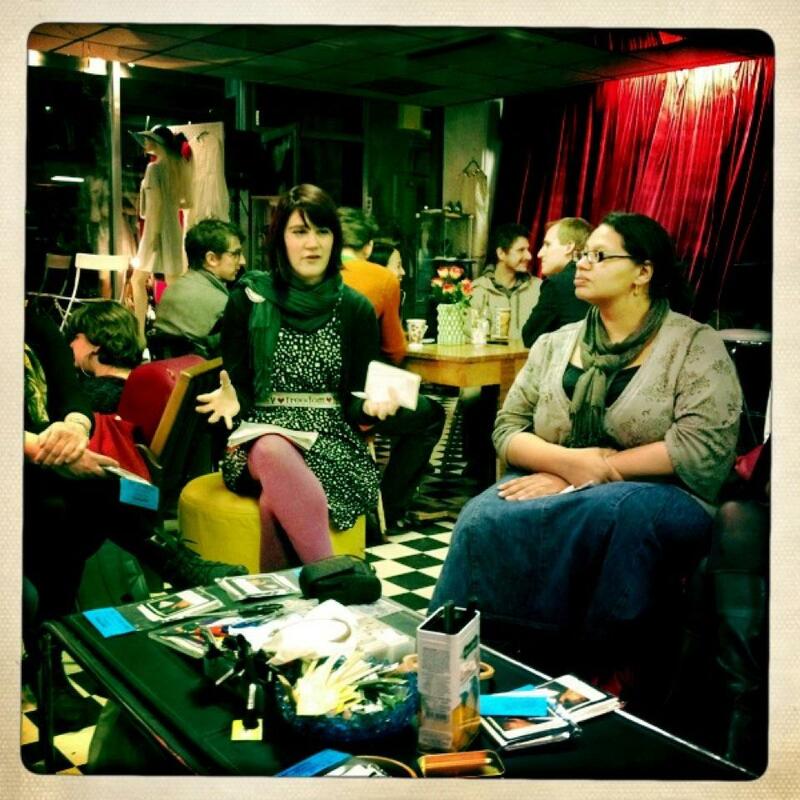 I can’t wait for more craftivism, more conversations and more creative community this year. sounds like a wonderful evening! It would be lovely to have some posts about those older craftivists sufrgettes ect. very very interesting and add more of a purpose to what I or we want to do and achieve.